Brexit could contribute to thousands more deaths from heart attacks and strokes by 2030, according to research published in the journal BMJ Open. 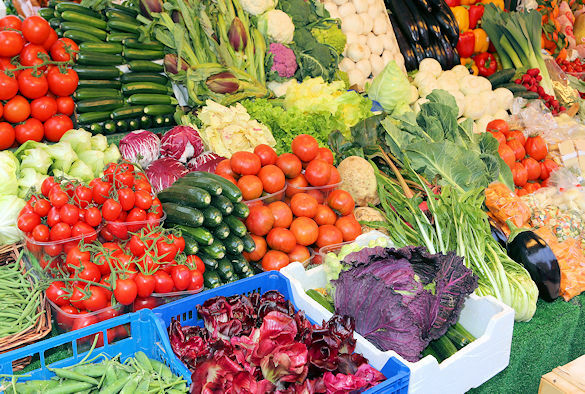 The UK is heavily dependent on fruit and vegetable imports – 84% and 48%, respectively in 2017. In one of the first studies to date to look at the impact of Brexit on food imports and public health, researchers from the University of Liverpool and Imperial College London examined how varying Brexit scenarios would lead to increasing costs for imported fruit and vegetables, resulting in people potentially eating less and increasing their risk of cardiovascular disease (CVD). The findings reveal that all the trade scenarios they looked at would reduce fruit and veg intake in England, with a ‘no-deal’ Brexit being the most damaging to public health – lowering consumption and contributing to an estimated 12,400 additional deaths from CVD in England between 2021 and 2030. When these changes were translated to CVD risk, they found that a new trade agreement with the EU and third-party countries would contribute to approximately 1,360 extra coronary heart disease deaths and 2,740 stroke deaths between 2021 and 2030. The no-deal Brexit had by far the biggest impact on health, with the drop in fruit and veg intake contributing to over an average of 4,110 additional deaths of coronary heart disease (causing heart attack and heart failure) and 8,290 stroke deaths between 2021-2030. The researchers add that while their study focused on England, similar impacts are likely in Scotland, Wales and Northern Ireland. The researchers highlight a number of limitations to the study, including that the scenarios modelled are not exhaustive and do not reflect all Brexit scenarios currently being debated. However, they emphasise that the outcomes are consistent with previous research on Brexit which estimated the cost of eating five portions of fruit and vegetables per day is likely to increase for the average family in Britain – with estimates of an average of about £2.20 per week for a family of four.